Project 11: Electric Cars Part 2 Video: "Revenge of the Electric Cra!" Then the student should watch the 2010/2011 sequel to the Part 1 video. Revenge of the Electric Car presents the recent resurgence of electric vehicles as seen through the eyes of four pioneers of the EV revolution. Director Chris Paine (Who Killed the Electric Car? 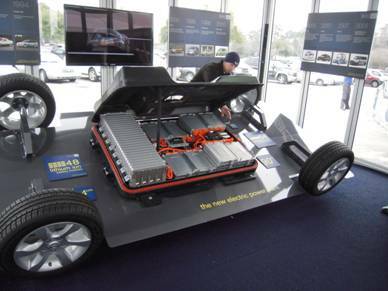 2006) has had unprecedented access to the electric car research and development programs at General Motors, Nissan, and Tesla Motors, while also following a part time electric car converter who refuses to wait for the international car makers to create the electric cars the public demands. 1 Watch the video, then research electric cars (use concepts from Chapter 11 (Section 11.3) to explain the fundamentals of fuel cells and Lithium/ion batteries). 2. There are 12 chapters in this 90 minute film, you record notes under the 12 Chapters on the Film Note Packet. 3. The film talks about the first three significant electric in 2011 to the present in the United States: You record the answers to the following questions below. Review these electric vehicles. Compare their features, the plus and minus. How much battery power do they contain? 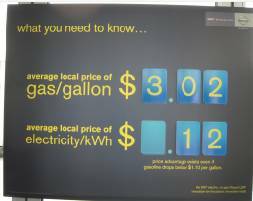 Compare how many KWH that are need to give a complete full charge. Explain the $7500 federal tax credit. Does it expire? Does it carry over year to year? 4. Submit your film notes & write at least one page about what you have learned and what are your impressions and opinions? 5. Your hand written notes may be scanned and submitted as attachments to emails. Your handwritten answers and comparisons may be submitted as scanned hand written documents. (Must be readable). Or you may send these documents as word processed documents. Your one page or more paper about what you have learned and your opinions must bhe word processed and sent as attachments. In the subject line be certain to label the documents as Project 11: Electric Cars Part 2. Be certain that each document submitted has you name and class.